Graduation is just around the corner – all eyes are on you. Jazz up your cap and gown with the perfect pair of shoes from Hot Chocolate Design! Take the next steps in your life with stylish shoes that will add just the right amount of pop. Here’s the thing: you can’t really see much underneath your gown, so aside from that celebratory lunch or dinner you have with friends and family after it’s all over, your dress doesn’t make much of an impact. Your shoes, on the other hand, are everything. With an endless selection of cute styles from Hot Chocolate Design, you can make your closing hurrah fashionable and fun! Doris Mary Jane Pump: Keep it fun and floral while you mix and match a polka dot print that pops with your cap and gown! With cushioned inner soles and arch support, you’ll be extra comfy while you walk on stage. Paint: Add some color to your outfit for the big day with an out-of-this-world paint pattern! These vibrant hues and a gorgeous geometric heel will be sure to make you stand out from the crowd. Geometric: Why be a square when you’ve got such a big personality? 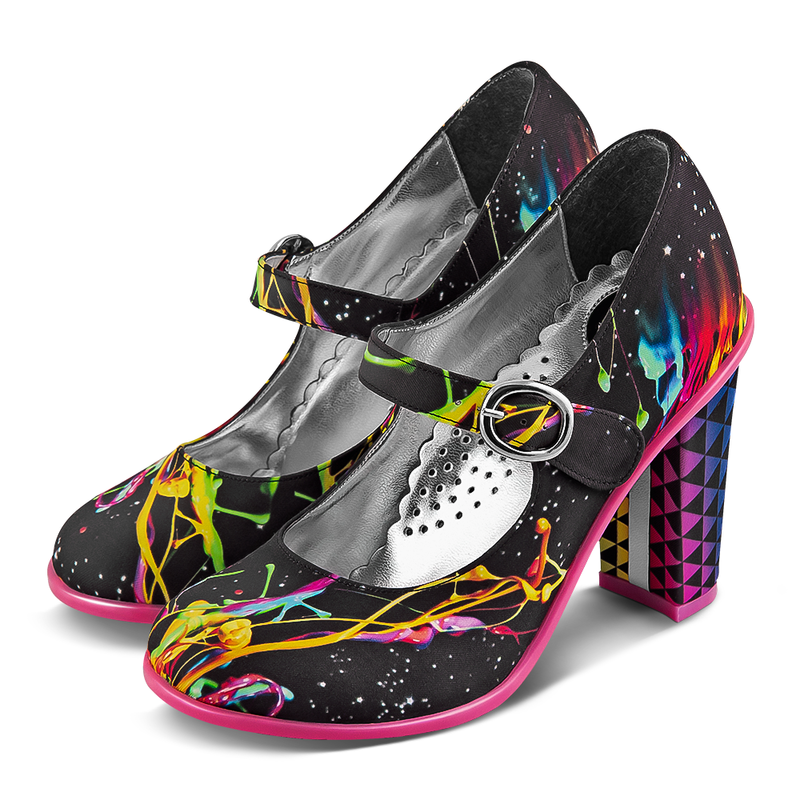 Show off your fun and funky side with these fabulous heels! Storm: While we hope there’s no chance of showers, these Storm shoes will make their mark on any graduation ceremony! Send a message with the vibrant yellow and bold black and white print on your special day. Graduation can cause a lot of stress, before you embrace all the change coming your way, step off that stage with gorgeous graduation shoes. Strut your stuff straight to a diploma with the styles from Hot Chocolate Design! Explore daring Hot Chocolate Designs at https://www.hotchocolatedesign.com and on Amazon. Founded in 2004 by Pablo Martínez & Carolina Aguerrevere, Hot Chocolate Design emerges into the Venezuelan market as a local fresh and innovative accessories brand, based on the consumers need of fleeing away from the uniformity and creative rigidity provided by mass produced brands. They define HCD as a design brand which occasionally blends with art as the concept, design and fabrication of each item we produce – shoes, bathing suits, purses, bags, home products, among others – is intended to reflect the individuality of each item.